Getting back into the studio hasn't been the problem as has trying to just create something beautiful that I can be proud of. The joy just hasn't been there. Maybe you understand. I just had a bit of a creative slump a few weeks ago and now I am right back there. So, that's what I am doing. I am stepping into my creative space and choosing to create joy. That's when this layout happened. I chose to take the time to hold a paint brush again. Meaningless strokes of color that brought me joy. 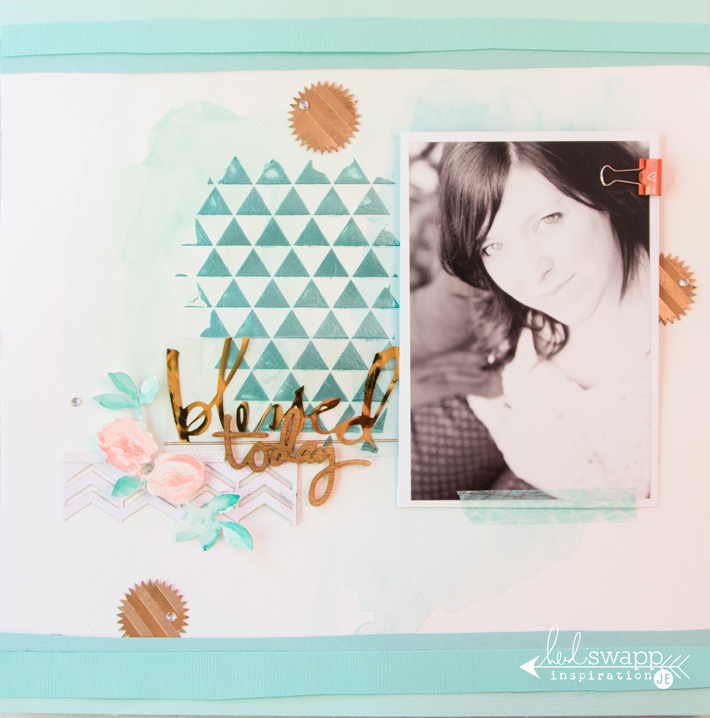 You can see the details on this layout and what is behind the photo on Heidi Swapp's blog here.